“Start with WHY” is a unique book which straddles the line between business help and self-help. The author’s key insight is that the most successful people, including the best leaders and their organizations, are the ones that remain true to an inspiring central purpose. A large part of the book centers on the process of diagramming organizations by breaking them into three concentric circles. In the smallest central circle - you have the WHY of an organization. This is the big purpose for which the organization exists. It is something that inspires people such as “To defend the world against injustice” or “To challenge the orthodoxy” or “To allow the common man access to great technology”. The next outermost circle contains the HOW of an organization. This refers to how a business should operate and be structured in order to bring about the WHY. Put another way, HOW can an organization translate its WHY into real services or things that people can use? Finally, the largest, outermost, circle is the WHAT of an organization. What services or products are actually being created by the company or organization? Every business or organization can be evaluated using these concentric circles, and the author does this with well-known companies such as Disney, Volkswagon, Harley-Davidson, and Apple). The ‘big idea’ guy, the founder or leader of an organization, will typically be the source of the WHY. He will attempt to recruit others to his cause who have ‘HOW’ talents. ‘HOW people’ help to figure out how to translate the big idea into real results. The other employees or members of an organization are involved in actually creating the service or product (the WHAT) of the organization. In “Start with Why’, Sinek also links brain structures with WHY, HOW, and WHAT. He notes that in decision-making many people ultimately ‘go with their gut’, meaning, their overall feeling about something. This, he says, is when we are using the limbic (emotional) part of the brain. The WHY, if it is a good one, appeals to our emotional brains very strongly. Other parts of our brains (the neocortex) are involved with the analytics of comparing one product or service with another - which occurs when you look at the products and services themselves (the WHAT) of a company. As a consumer - you respond most strongly to an excellent product that fits both your neocortex and your limbic brain. This means that when a product is good and, additionally, you share or like the overall philosophy of the company, you will buy and enjoy these products much more. Second, having a clear, well-articulated WHY makes it easier for leaders and their companies to make decisions. Is the product or service being considered consistent or not with the stated purpose of the organization? Answering that question helps the leaders and everyone in the company decide what to do or not to do. He notes that of course the quality of the products and services an organization provides must be very high and they must be competitive in terms of number of features or innovations. But what sets of company apart psychologically for the customer is its WHY. To sum up as Sinek does: “People don’t buy what you do, they buy why you’re doing it” Because this is so important - a company has to try to make its WHY very clear to the customer and always act consistently with it. This book presents a very useful synthesis of many important ideas. It mainly explains how having an overarching purpose is helpful for (1) attracting people to work within your organization who agree with that purpose (2) making decisions within your organization and (3) aiding your customers to know what kind of company you are. I agree with nearly everything I read in the book. The concepts discussed are fundamental and emphasize that purpose, integrity, and consistency are important to the overall functioning of any organization. I felt the book was a bit long, given that the ideas were easily understood in his first explanations and didn’t require as many examples of their application as he provided. (1) He/she will be able to make decisions more easily. (2) Others who like the message will be attracted to him/her including potential friends, business associates, and romantic interests). (3) If the purpose is clear, anything a person does will be correctly understood in light of that overall purpose, which acts as a form of marketing for the person. This is an excellent book which highlights fundamental issues related to an organization’s overall purpose and how it’s functioning is affected by that purpose. 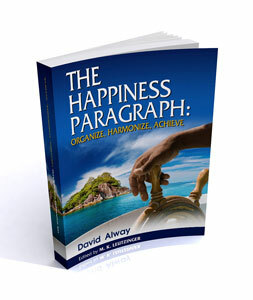 The same lessons highlighted by the author regarding organizations can be used by individuals in their quest for happiness.